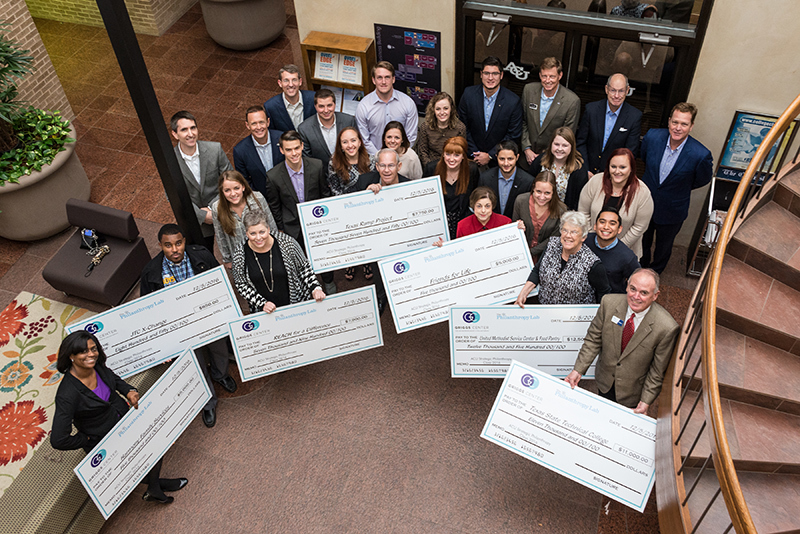 Members of the Fall 2016 Strategic Philanthropy course presented checks totaling $50,000 to seven local nonprofits. Two of the students went on to a national conference where they obtained an additional $25,000 for Abilene's Presbyterian Medical Care Mission. 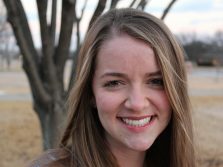 An Abilene nonprofit organization was awarded $25,000 from a national group thanks to two students from ACU’s Strategic Philanthropy course who brought skills they learned to the 2017 Philanthropy Lab Ambassadors Conference in Dallas. Anna Casey, a marketing major from Willow Park, Texas, and Rees Heizelman, a management major from Abilene, joined 34 students from 17 universities across the nation to present grant proposals at the conference. The Ambassadors Conference was open to students who participated in a course affiliated with The Philanthropy Lab during the 2016-17 school year. Each university partner was allowed to send two student ambassadors. Anna and Rees were both in the Fall 2016 course at ACU. 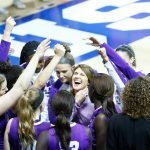 Abilene Christian was the smallest university represented at the conference, said Rees. Other schools included Harvard, Columbia, Northwestern, Stanford, Texas A&M, University of Texas, Rice and Vanderbilt. The ambassadors – each with unique viewpoints, experiences and educational backgrounds – presented their proposals attempting to persuade fellow attendees that their nonprofit deserved part of the $150,000 in available funds. Abilene’s Presbyterian Medical Care Mission, which provides access to affordable medical and dental care to low-income and uninsured adults, was one of only six nonprofits selected to receive a $25,000 grant. 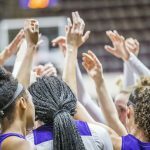 The ACU duo had to answer a lot of questions about whether the organization imposed faith on their recipients, Anna said. Strategic Philanthropy was first offered as an Honors colloquium in 2015, a one-hour course designed by Dr. Jim Litton, director of the Griggs Center for Entrepreneurship and Philanthropy and inspired by former COBA dean Dr. Jack Griggs and an alumnus who offered an anonymous donation for students to distribute to local charities. In year two, ACU partnered with The Philanthropy Lab and expanded the offering into a three-hour, full-semester course. Now in its third year, Strategic Philanthropy involves both theory and practice, said Orr. Working with the Community Foundation of Abilene, the students receive grant applications from area non-profits, conduct site visits to learn more about the work of the nonprofits, and then make decisions about which grants to fund. The students then plan and conduct a giving ceremony to make the awards and celebrate the impact upon the community and the people that are served. “Finally, each student is asked to reflect upon these experiences and to create his or her own giving or philanthropic plan for their life and how they want to impact the world through giving,” Orr said. This fall, the class has 20 students who are in the process of evaluating nonprofits to be presented funds in December. Wow!, Jim, what a meaningful honor, Bob Bailey,’52, and a friend of your family since 1937!